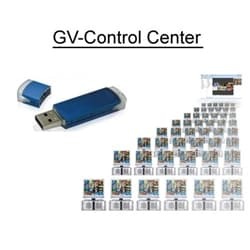 CCTV Customer: I am currently using geovision v8.2 and am trying to setup email alerts. Is it possible to setup an outgoing email account in Geovision that requires SSL authentication? Have you ever setup a system for someone who was using either comcast, gmail, or yahoo as their outgoing SMTP server? Geovision Support: Hi CCTV Customer. I have only set this up a few times and each time I used the open SMTP relay on our dedicated server. I know you must have access to an open relay for it to work. If that relay supports SSL auth, you should be fine though I have never used it. CCTV Customer: Hmms, is the SMTP relay apart of Windows? Geovision Support: SMTP relay just means that you have access to send mail through an SMTP server. Yes you could run one on windows. CCTV Customer: So I would basically configure the SMTP relay to forward mails to my actual email's SMTP outgoing server, and then configure GeoVision to send alerts to the SMTP relay? CCTV Customer: Hmms, thats what I thought initially. However, Comcast (along with Gmail & Yahoo) requires SSL authentication to connect to the SMTP outbound server. In my version of Geovision, it's telling me that SSL is not supported. Geovision Support: if comcast does not allow an open relay for you, you either need to find a service provider that does or you can set up your own. Geovision Support: I see. I was just double checking. I do not see any SSL support on Geovision. Geovision Support: Hmmm, SMTP mail service CCTV Camera Pros should provide for our Geovision customers to use. It seems like most ISPs do not have open SMTP relays available or it is trouble to access it. Anyway, I am sorry I do not have a short term solution for you except finding a provider that does not require SSL for SMTP.